Natural left and right open conch from Indian Ocean. 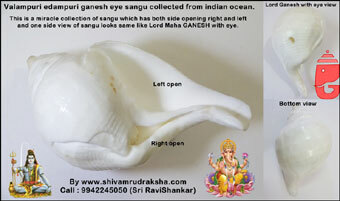 Valampuri edampuri lord ganesh eye sangu is a miracle first time like this collection from indian ocean. 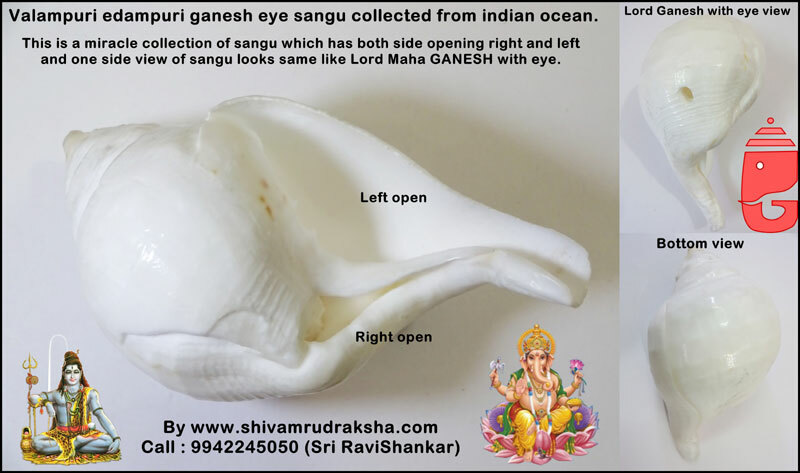 This sangu has natural two openings both right and left and in side view this conch looks real like Lord Maha GANESH with eye. 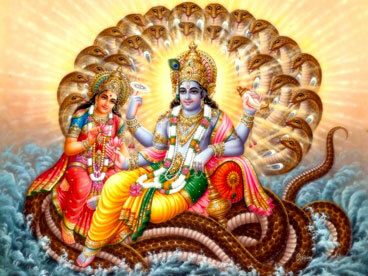 This sangu has extremely very high energy which gives full protection to you and your family. This is life time collection never can get again like this. By keeping this sangu with us will give full protection to you and your family and gives very god health, wealth, success, happiness and peace.